2005. Water, mirror, paper, projection. 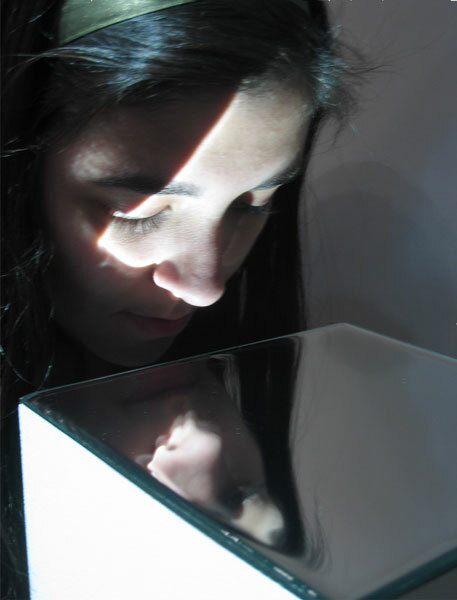 Breathe consists of a six by six-inch mirror on top of a narrow pedestal. This surface is covered with a layer of water that extends exactly to the edges of the mirror. 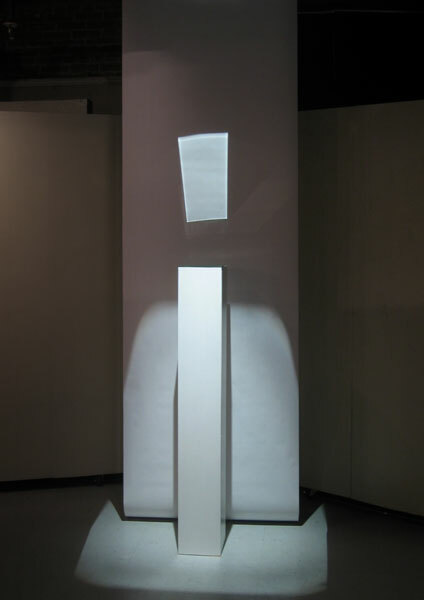 Light reflects off the mirror through the water to cast a rectangular projection on a length of paper behind the pedestal. The water surface is sensitive to subtle movements such as floor vibrations and air currents. 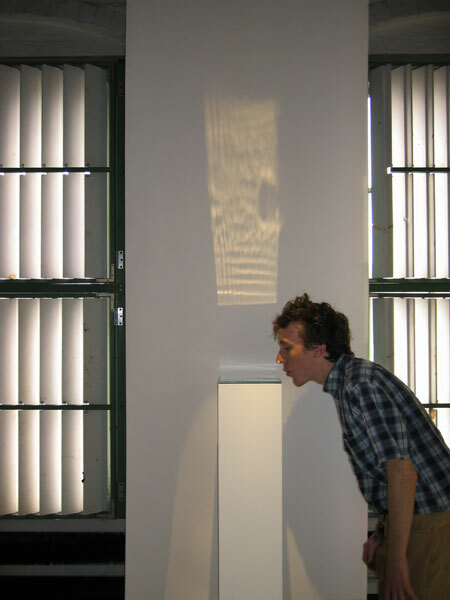 Many viewers discover the responsive properties of the piece by noticing the projection register their breath or footfalls.